After buying an Amazon Echo (one of my best gadget investments ever), my next smart home investment has been smart lighting. Being able to adjust the lighting in a room with my voice or even a smartphone just sounds very sci-fi cool. Being able to turn a light on or off remotely is so 1990s. 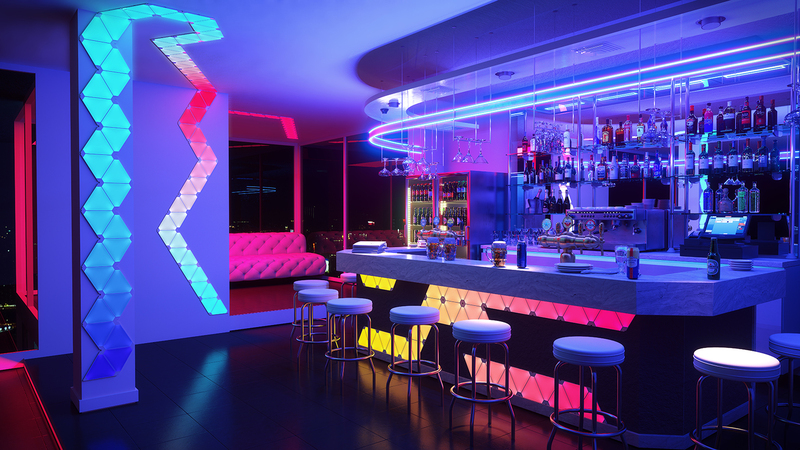 The new cool in smart home lighting is RGB LEDs, which can deliver up to 16 million different colours at varying light intensity. In theory, this means I can have warm ambient lighting when entertaining, or crisp cool light in the morning. 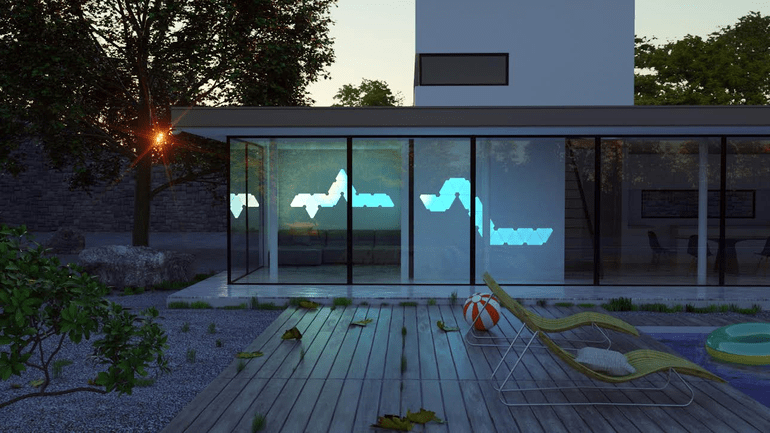 My first smart lights of choice are the interestingly named Aurora Nanoleaf. They’re essentially triangular tiles that hook together to make all sorts of wacky shapes. They’re able to be illuminated in over 16 million different colours and are flat so they’ll hang on a wall. The Auroa Nanoleaf starter kit comes with nine of these triangular tiles that are marginally larger than a subway tile. Because they’re crafted out of plastic they’re also light, so they can be wall mounted using double sided tape or even blue-tack. Included is a small controller which can drive 30 Nanoleaf tiles. It plugs into one of the tiles and the tiles connect using a simple but clever system of conductive connectors and double-sided tape. I thought this arrangement might prove fiddly and flimsy, but my doubts proved to be unfounded. Once my nine tiles were assembled into a funky trapezoid using the connectors and tape it was solid. I was a little worried that this connector/tape arrangement might be a tad too permanent, but I managed to pry off a few tiles to tweak my design with no problems at all. The second part of setup involved installing the Nanoleaf app. Getting set up was simple. After installing the app, I followed a few simple on-screen instructions and was up and running in a few minutes. The app is simple and flexible. There’s a ‘scenes’ screen which lists a whole bunch of pre-sets. 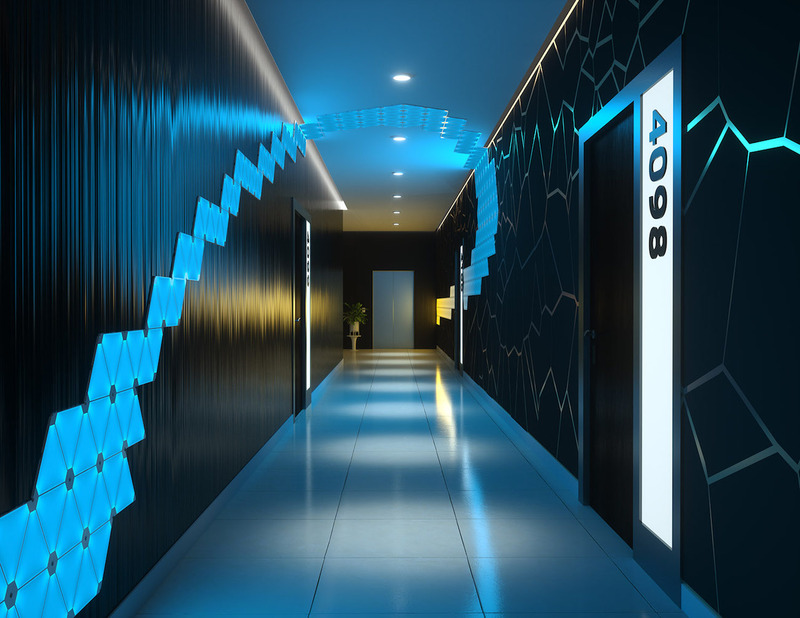 You also have ‘rooms’ so you can have different Aurora Nanoleaf setups scattered throughout your home, and assign different lighting schemes to each. You can also change colours using either downloadable pre-sets or by tweaking a colour wheel and light intensity slider. Then there’s also the ability to schedule different colour schemes for different times of the day so warm evening light can be had as well as crisp cool morning light. Using my Amazon Echo, I was also able to turn the Auroa Nanoleaf on, select colour scenes and turn it off. About the only fly on the speech recognition ointment was that Alexa struggles with my antipodean rendition of the word Aurora. In use, this usually translated into a case of third time lucky when barking commands at my poor Amazon Echo. Oh well, so much for sci-fi. 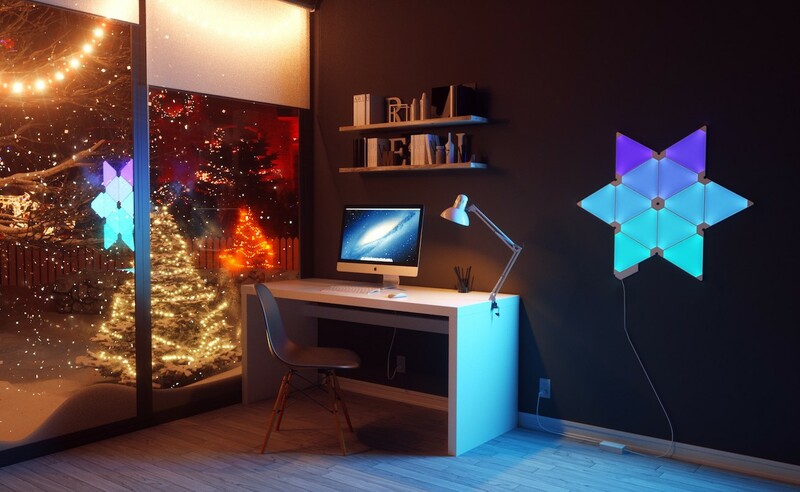 The Nanoleaf Aurora strikes me as a great complementary companion to Philips Hue bulbs, and combines striking looks with an endless amount of customisability. It’s also a tonne of fun to play with.